Technology is becoming more persistently invasive, placing fundamental privacies further under threat. Some would argue privacy has eroded to the point of no return, not least with Internet and social media channels ruling or, in some cases ruining, people’s lives. To combat the rise in certain technologies, laws have sprouted to combat any perceived indiscretions. But while regulatory changes offer some comfort, not everyone is convinced. Despite this, the rise of consumer technology that opens up the privacy debate, including drone technology, will soon be accepted by everyone bar the odd conspiracy theorist. Everyone from old media barons such as Rupert Murdoch is in on the action. The technology behind the myriad types of drones that now sweep your personal airspace is expanding and could be the ‘next big thing’. In fact there is no escaping their rise in popularity. The selfie drone is part of this new wave of technology destined to change consumer habits (and fears). The selfie drone makes the selfie stick look as old as a Commodore 64. While there is still love out there for this old machine, its function is limited and it is now more a novel relic, than a modern work of technological art. Forget about holding your camera on a stick, the selfie drone tracks its owner and shoots video footage and photos of them. 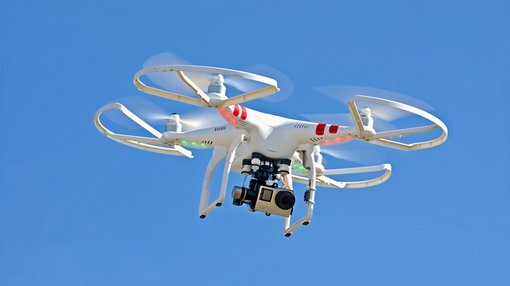 Leading the selfie drone phenomenon in Australia is Sydney-based consumer technology maker IoT Group, led by entrepreneur Simon Kantor which is currently backdoor listing on the ASX through Ardent Resources (ASX: AWO). Today, IoT announced a major deal via the ASX to deliver its products, including the selfie drone and its Viper Phone Watch into Japan. The Viper Watch has already had impact. The $99 rival to Apple and Samsung is available in Coles supermarkets and has already sold 4820 units, surpassing expectation of 2500 units by Christmas. Shu Ueyama will be the new non-exclusive sales and distribution agent for IoT Group in Japan – where plenty of Japanese companies are keen to see the selfie drone. Shu is a former Sony and Virgin executive; he was part of the launch team for the Sony Walkman, and he has worked with IoT Group director Ian Duffell for more than 30 years. He has also published more than 45 books. “Shu had seen our products, and he contacted me to say ‘I hear you’re involved, and I have some contacts that would be very interested in looking at what you’re doing’,” said Duffell. Duffell used to run Virgin entertainment for Richard Branson and was also involved in the introduction of the Sony Walkman before he helped launch IoT Group. Duffell has high expectations not only of his relationship with Shu, but also for the uptake of IoT products in Japan. “Companies have seen the specifications and images of the selfie drone and see it as being a major disruptor in the Japanese market – not only because it’s a lot less expensive than other drones on the market, but also because it has a lot more features. “Drones are usually tethered to a phone or other controller, but ours is different in that it has its own SIM card so it can work from Sat Nav on its own and be guided by object recognition. 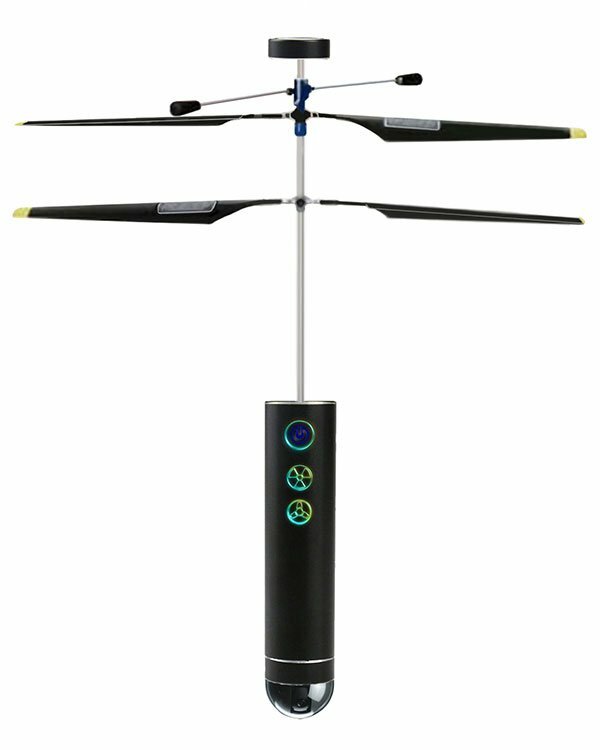 The IoT Group selfie drone is expected to retail for under $AU200. The world of the selfie is now as high tech as it currently can be, but IoT is also also developing a GPS safety smartwatch designed specifically for children and smart clothing including shoes with tiny sensors that can provide information about the number of steps taken as well as the user’s posture. Smart singlets can also measure blood pressure or pick up if the wearer is having a heart attack. Ardent Resources is set to acquire IoT in exchange for approximately 696 million shares in Ardent. The acquisition is expected to be completed in mid-December, with shareholders asked to endorse a change in the nature and scale of Ardent’s activities. The company will issue a prospectus to raise $5 million, with the funds used to accelerate IoT product development.